Hello and welcome to our March blog. Red Nose day was fast approaching and we were all busy thinking of what to do to raise some money. 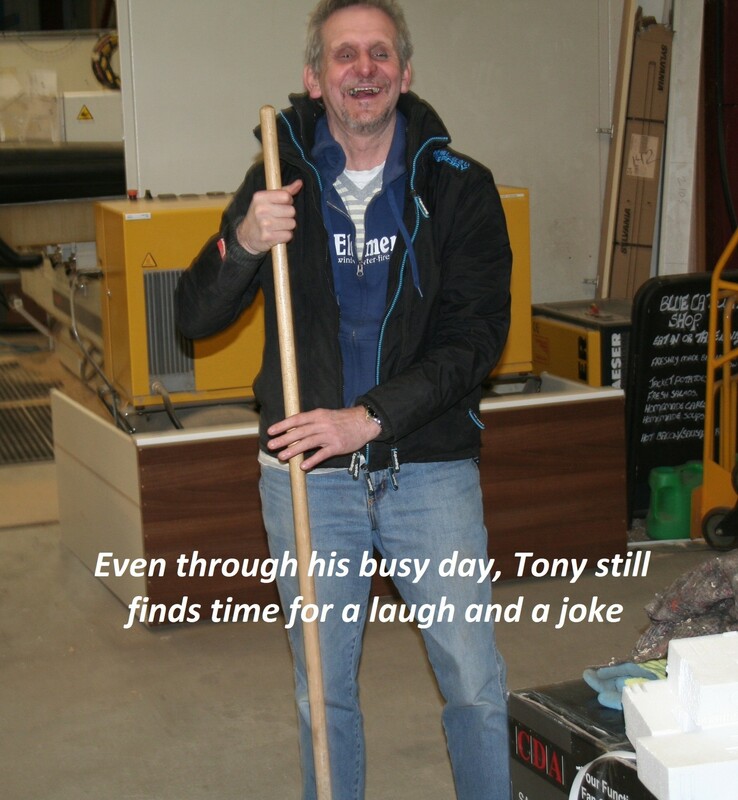 Out of the blue Tony, our MD, announced that he would sell himself for £5.00 per half an hour to his employees! For every £5.00 donated The Kitchen Company would donate another £10.00. Staff were able to pay him to do anything within the working environment that they themselves do. This caused a lot of excitement because we do have some jobs, being a factory environment, that everyone hates doing. 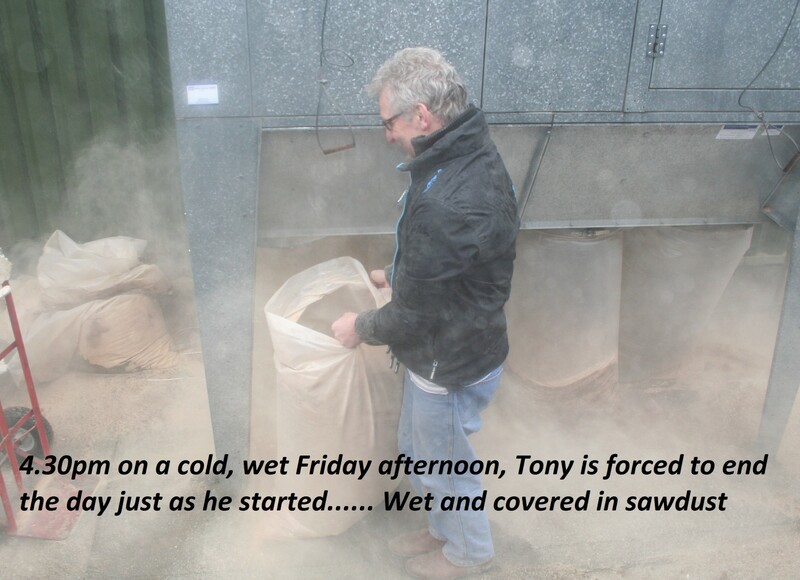 The day was a great success and Tony was a good sport to say the least. 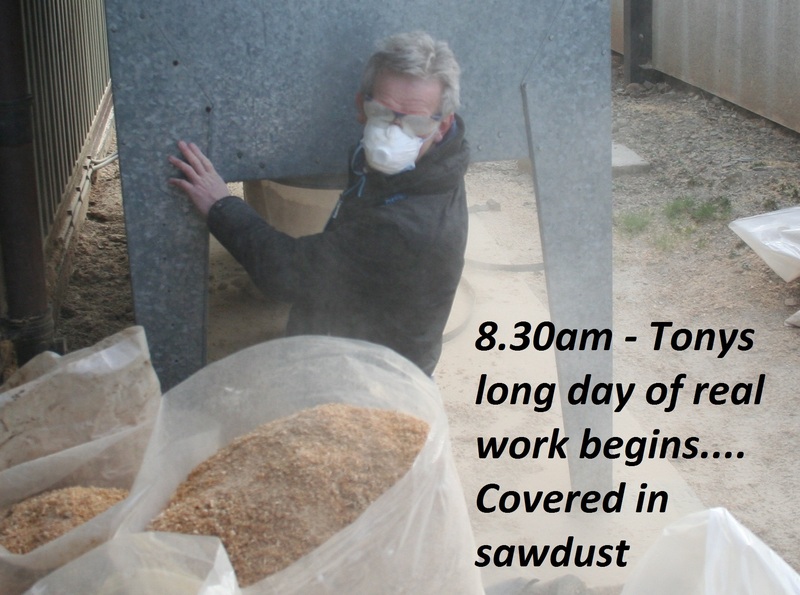 His day started with cleaning out the extractor in our handmade section – this resulted in him being cold and absolutely covered in dust at 8.30 in the morning. There were lots of happy snappy phones around and some smug employees. 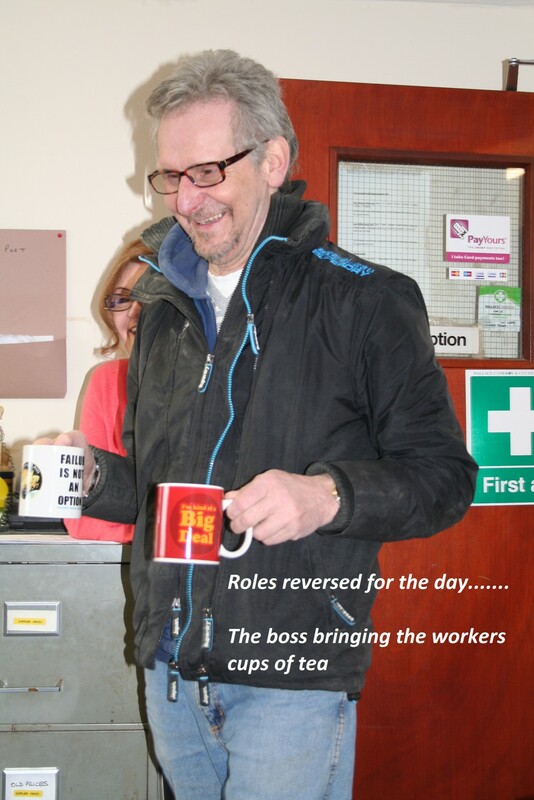 He was fully booked all through the day except for half an hour at lunch time and did various other things like making tea, filing, data input, sorting panels, calculating fitting boxes, sweeping up the factory floor (twice), shopping and cleaning a car. 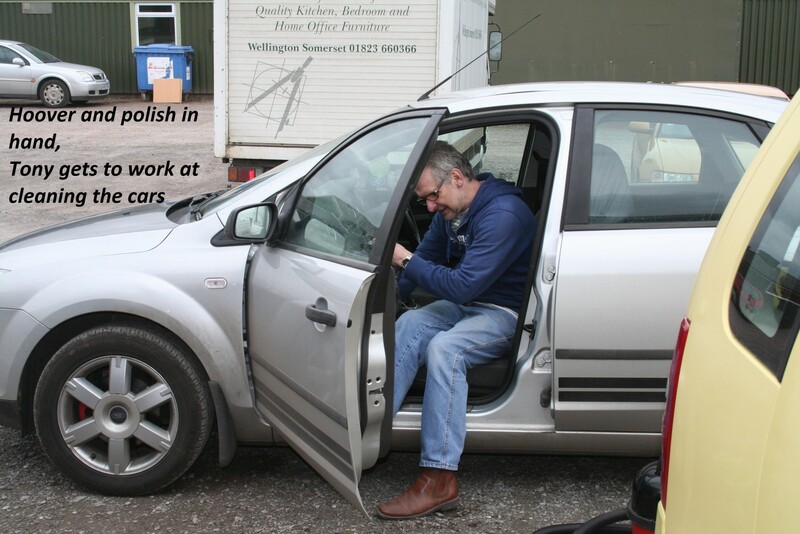 You might think what has cleaning a car to do with making kitchens – well it’s not unknown for Tony to ask a spare body to give his car a wash – so somebody got their revenge. At the end of the day his last job was to clean the extractor in our other factory and so he was cold and covered in dust again. 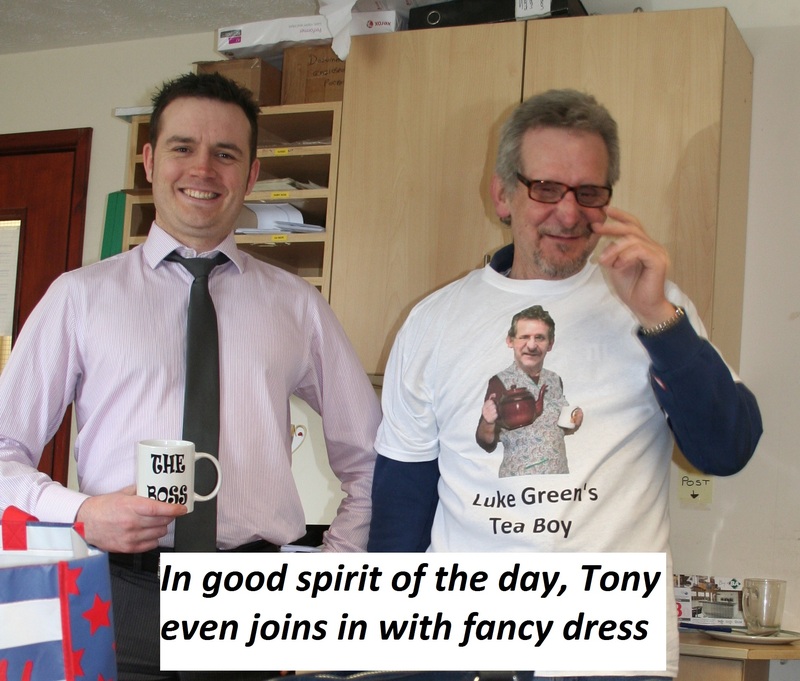 We raised £250.00 for Red Nose Day – WELL DONE TONY.